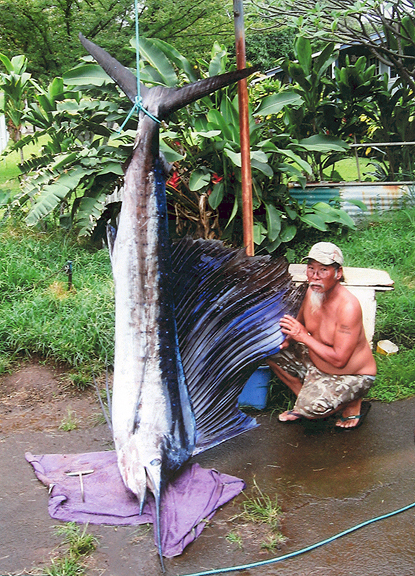 Rodney Takaki hooked this 151-lb sailfish in 65 fathoms off of Punaluu using a live 'opelu as bait on a handline. Rodney's impressive catch broke a state record that stood for nearly 30 years. Not only that, but his sailfish raised the bar 32 lbs!